It’s time for Detroit to reinvent urban homesteading by selling homes to their current residents. The largest holder of public land in Detroit is the Detroit Land Bank Authority(DLBA), which holds title to over 93,000 properties. While DBLA is intended to manage vacant parcels of land and unoccupied homes, they have become the de facto owner of several thousand occupied homes as well. These homes are the low-hanging fruit because they already have someone who wishes to live in them and they are not as damaged as their vacant counterparts, yet DLBA lacks an effective program to transition residents into owners. To understand the problem, consider the perspective of a person living in a home owned by the DLBA. Most were lawful occupants—including owners or renters—whose homes cycled into public ownership through tax foreclosure. Many of them do not even know who owns their home. There’s a toxic uncertainty that comes from not knowing who owns your home, how long you will get to stay there, or on what terms. While it’s nice not having to pay rent, this situation is tenuous for both person and property. Basic human psychology dictates that residents in these conditions will withhold emotional and financial investment in their home. A person is unlikely to paint the walls or plant a garden, let alone repair the leaking roof. Occupants of these properties exist in a sort of purgatory until disrepair, inability to access water without a current lease, or fear drives them out. Without a direct path to legitimate occupancy, gentler indirect forces provide a “passive eviction,” leaving residents to scramble for new housing, and vacant homes to join the unabated queue of demolition fodder and scrap material. To put it bluntly: good things aren’t happening to these houses. Each day that a home remains unoccupied, its chances for recovery diminish as natural and human forces strip it down. In the end, many vacant homes are demolished at a cost of $12,000 per property. This is why “continuous occupancy” is so important to the viability of a home and a community. Unfortunately, the DLBA doesn’t do enough to intervene and help retain lifelong Detroiters who lose their housing to foreclosure and eviction. The Detroit Land Bank Authority was formed in 2008 to fill the void of a functioning private market. Ostensibly, it serves as the “owner of last resort” by holding title on blighted or undesirable property until it can be returned to private ownership in accordance with its “highest and best use.” Most DLBA properties are vacant lots or unoccupied homes. The most successful DLBA initiative is its “side lot” program through which a property owner can buy an adjacent vacant plot of land for one hundred dollars. Lots are sold for $100 regardless of its location, size, or value. This program is simple, universal, and transparent. It does an excellent job in expediting property sale and puts ownership in the hands of one who will care for it and benefit from it the most. The DLBA also sells vacant homes, primarily through the “Building Detroit” auction. Compared to the fluidity of the side-lot program, the auction comes with a high degree of intervention and oversight. Bid prices start as low as $1,000, but come with the stipulation that the house must be up to code within six months of purchase. This is too high a bar for most Detroiters to reach. Approximately two years ago, the DLBA announced the creation of a “buy-back” pilot program for residents of occupied homes. After a slow start, it now has 183 program participants. The DLBA deserves credit for creating a path to ownership for residents of their homes. However, the occupied homes should be treated as a priority rather than a side project because of the basic rules of triage: a resident’s position in their home is so fragile and the cost of keeping them there is so much cheaper (than, say, a demolition). By not providing a scalable program to stabilize occupied homes, the DLBA has indirectly caused those homes to become vacant, fueling Detroit’s housing paradox and leaving the healthiest patients to expire in the waiting room. But there is a potentially simple solution to the problem: a “DLBA homestead” program to sell occupied homes to current residents for just $1. It would address the scope and urgency of the problem by ensuring ease and transparency, as with the side-lot program. It would be offered to all residents of DLBA homes who desire ownership and are not guilty of flagrant criminal activity. “Squatting” is not necessarily the ill that it is often perceived to be. Filling the void of a vacant home can dramatically improve the stability of a neighborhood, and turning illegitimate residents into owners can have even stronger benefits. It would be a welcome reversal on the trend of the housing crisis that demoted homeowners to renters, squatters, and homeless. The notion that free-or-cheap housing from the DLBA would reduce tax payment is well-meant but unfounded for a number of reasons. Homeowners who emerge from the homestead program would have a significant incentive to pay taxes to keep their home. But more important, it’s highly unlikely that a homeowner would willingly allow their home to fall to the land bank again (say, by letting it go to tax foreclosure) on the chance they could get it back for cheap. Use of the foreclosure auction as a tax-debt money-laundering scheme is the province of investors for whom one house is as good as any other, not one whose life and future is contained within its walls. 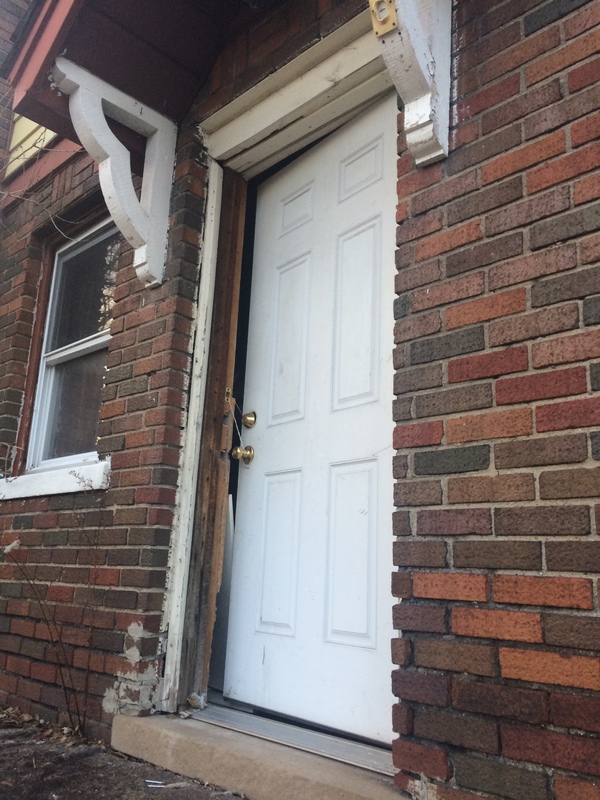 This entry was posted in Detroit, Published and tagged Detroit, Housing, land bank, vacancy. Bookmark the permalink.